The statement picks up on a very common triumphalist attitude towards perspective. Perspective is a lesson to be learned by all good art students, it is the golden standard of realism, and the Renaissance Masters either discovered it or rescued it, after the utter ignorance of the Middle Ages. But what do we mean by “perspective”? 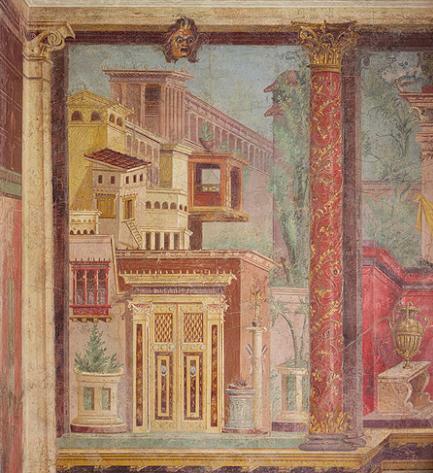 Did the Romans use linear perspective? And is the linear model really the best anyone could come up with? Posted in Weird and Wonderful and tagged art, cubism, fresco, horizon, linear, painting, perspective, pompeii, Renaissance, Rome. Bookmark the permalink.